We talk a lot about craft building a community, but what does that really mean? Not many people have heard of Fogo Island, but according to Wikipedia, the Flat Earth Society believes it is one of the four corners of the Earth. This little 25 km by 14 km island, jutting out into the North Atlantic Ocean off the coast of Newfoundland, Canada, is currently undergoing an economic and social rejuvenation based on eco tourism and the arts. 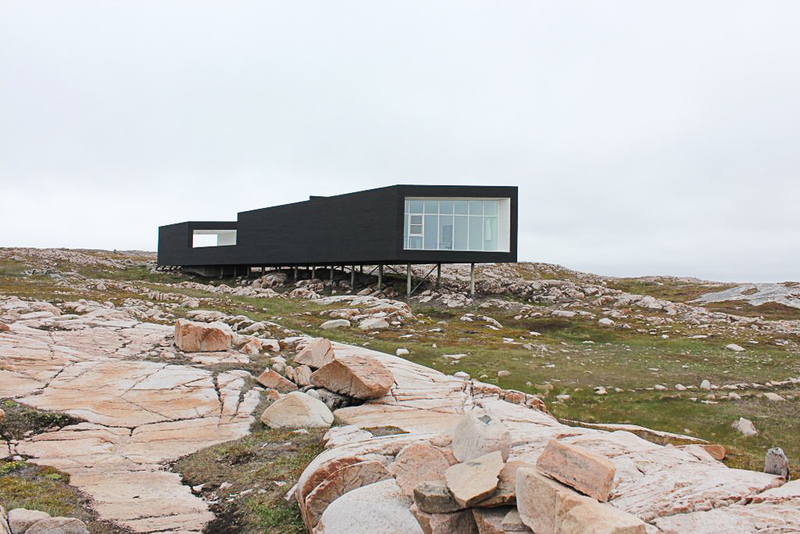 I was lucky enough to stay in the newly opened Fogo Island Inn (which in itself is remarkably special) in June this year, and was given a tour of the artist studios that dot the Island. 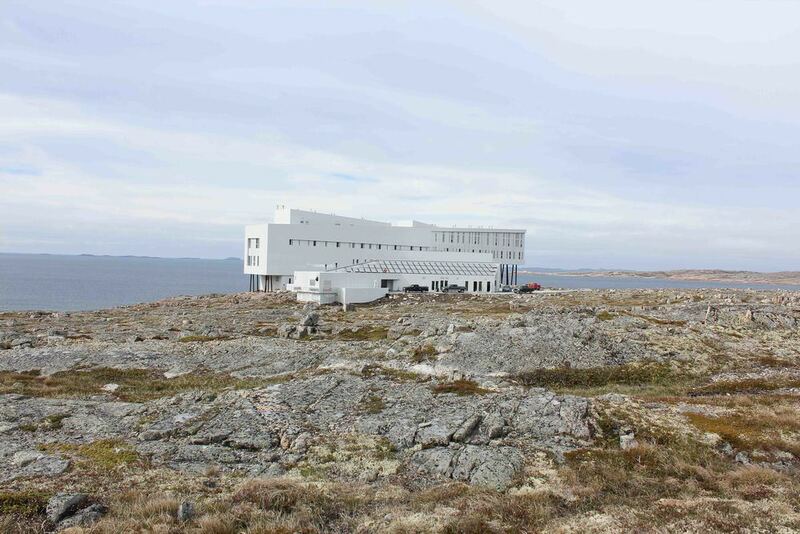 The artist studios host artists and thinkers from a wide range of disciplines who are taking part in the Fogo Island artist residency program. While the Inn and artist residency program are truly impressive, the other aspect of this innovative and awe inspiring social enterprise project is craft, the pursuit of which has played a vital role in my life for many, many years. Every room at the Inn is furnished with craft made locally in Fogo. Quilts, hooked rugs, crocheted mats and furniture all add to the unique sense of place and made my stay there unlike any experience I’ve had. My room - all the furniture, quilts etc are made on the island! Generations of people living on Fogo made their living off the sea fishing for cod. 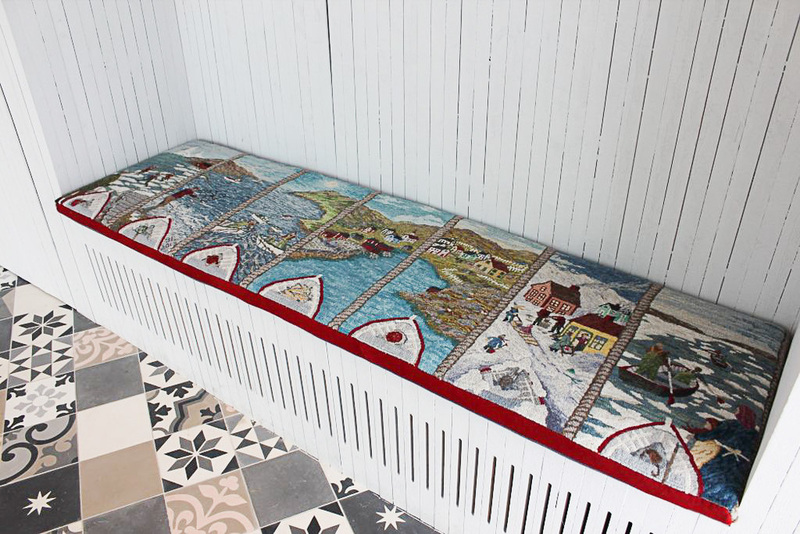 In the homes of that fishing culture grew a rich tapestry of practical craftwork that has a distinct local aesthetic. As Fogo becomes an attractive eco tourism destination, local craft adds a unique cultural dimension. The Artisans’ Guild meets weekly, and the day I dropped in was a hive of activity, with a room full of women busy filling orders for the Inn, as well as stock for the craft store. I was invited by these lovely women to pull up a seat and, of course, I whipped out my knitting! From the Shorefast foundation website; "The considered locations of the studios and artists’ homes help connect artists-in-residence with the day-to-day lives of the Island’s local communities." I hope you enjoy the pics and these follow up links!